Member of the Vero Beach Art Club and the Vero Beach Museum of Art. 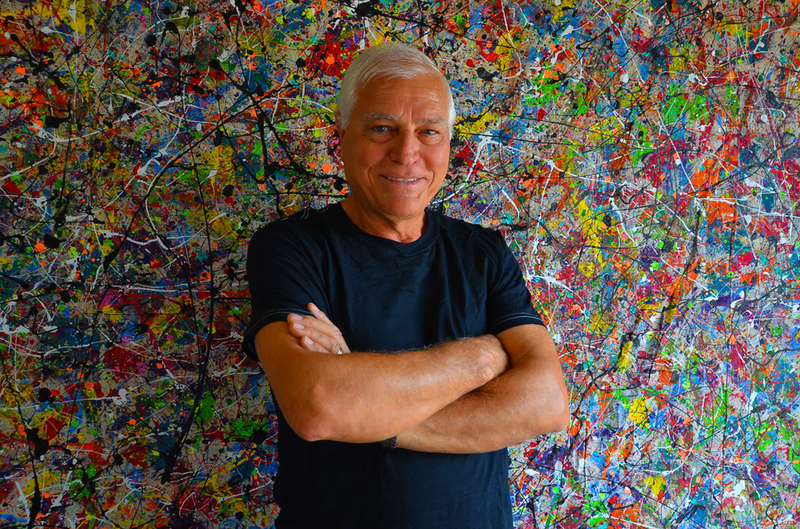 Mimmo’s work can be found in corporate collections throughout Florida, North & South Carolina, New York, New Jersey, Kentucky and also by many private collectors throughout the United States and Europe. “Fiori Di Campo” looks absolutely amazing in our foyer! Bravo! Incredible color combinations and elegantly vibrant. Mimmo’s art can be found and purchased online through our secure Etsy shop. Currently, our listed items are primarily from our “Wearable Art” collection. This exciting twist to art has gained a lot of attention from our clients and we are focusing our attention to offering this unique collection outside of our local market! The direct link to our Etsy shop is https://www.etsy.com/shop/ArtofMimmoAmelio or you can simply click on the multiple hyperlinks in this section of our site. I believe my work speaks for itself. Browse through some of my work below. Connect with me via social media to get more information about what I am up to.